My mother, Nelda, who will be 99 years old in November, has had a life-time’s love of hand quilting. In her retirement years she belonged to a group of hand quilters at her church. 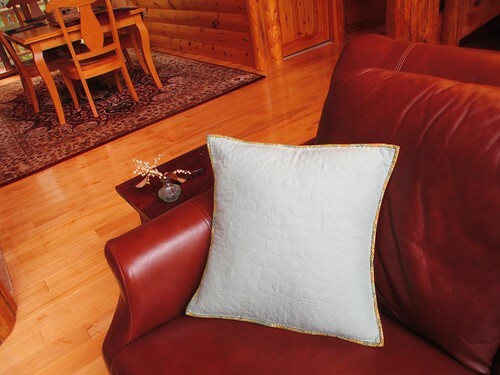 This group usually had a back log of orders for hand quilting and charged a very reasonable rate for their work. Their earnings went to missions and other charitable causes sponsored by their church. They met once a week for most of the day to quilt, all gathered around the quilt frame, stitching and chatting and planning how to quilt the next quilt. Everyone brought their own lunch and one person made dessert for all. 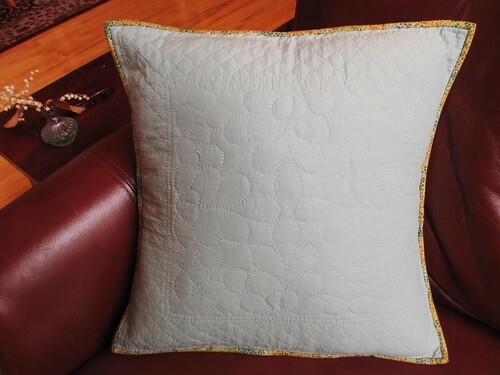 My mother hand quilted her own quilts, and, until I took up long arm quilting, she quilted for me as well. Occasionally, she would quilt for others, too. 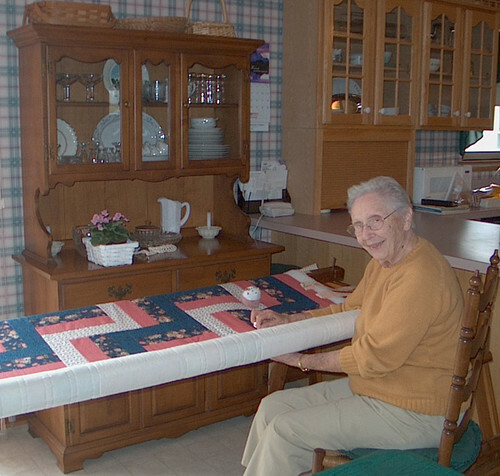 Here she is quilting a large Rail Fence quilt as a gift for a relative. She was 93 in this photo. 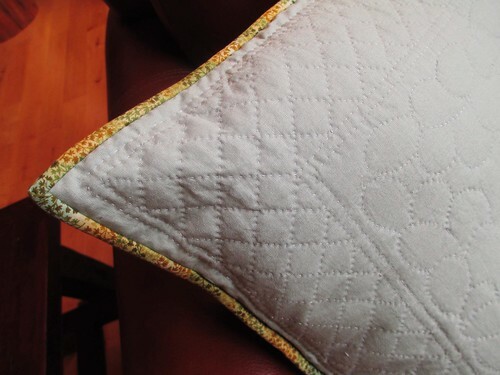 Several years ago, about 2007, she hand quilted these two small pieces, one red and one pale green. 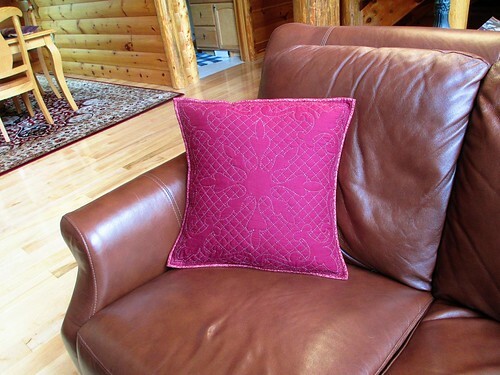 I recently visited my mother and volunteered to make them into pillow coverings. I think they turned out really well. 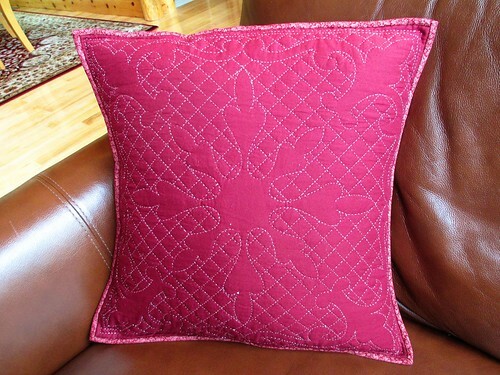 This entry was posted in Nelda's Hand Quilting. Bookmark the permalink.